I know it is not quite Fall yet; however, I purchased Fall mums quite early. by the lovely Angie of Postcards From the Ridge. I had to bow out at the last minute. So here I am today, presenting my Fall Porch. The first decorated porch of the Berry Patch House. 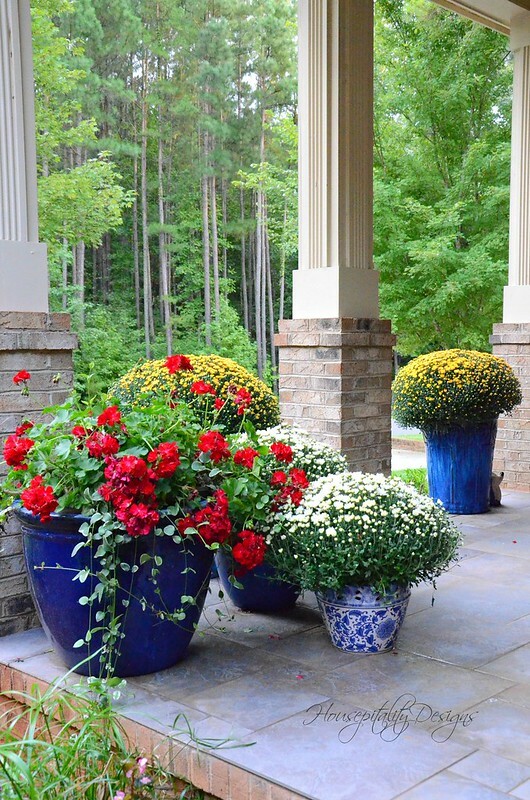 I am thinking ahead on how I would like to decorate my porch for Fall this year. I definitely need to keep it simple, yet festive and inviting this year. and a new favorite of mine. I decided not to decorate my front porch until I returned. 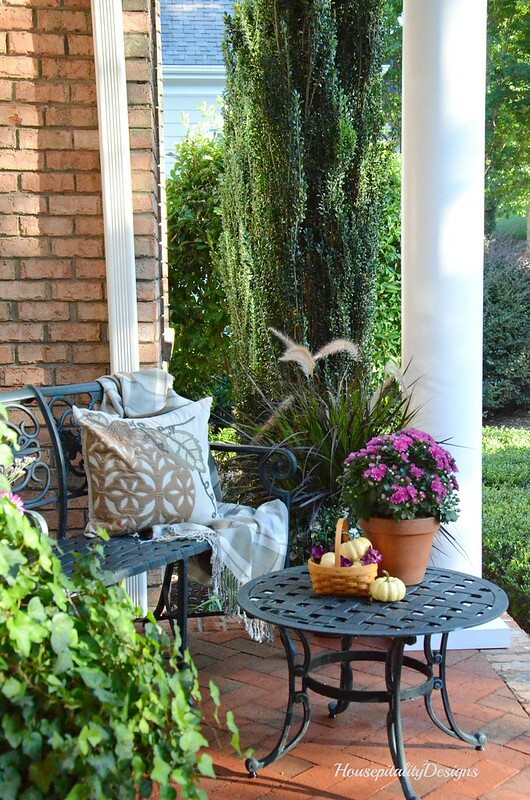 Well, I am back and the porch got a Fall facelift. was to go to the Farmers’ Market. One of my favorite places. Summer will soon give way to the vibrancy and crispness of Fall for many of us. Change is good, or at least inevitable. Some changes may be hard, but sliding into Fall is never a difficult one for me. Fall is my very favorite season. Spring holds a very close second. 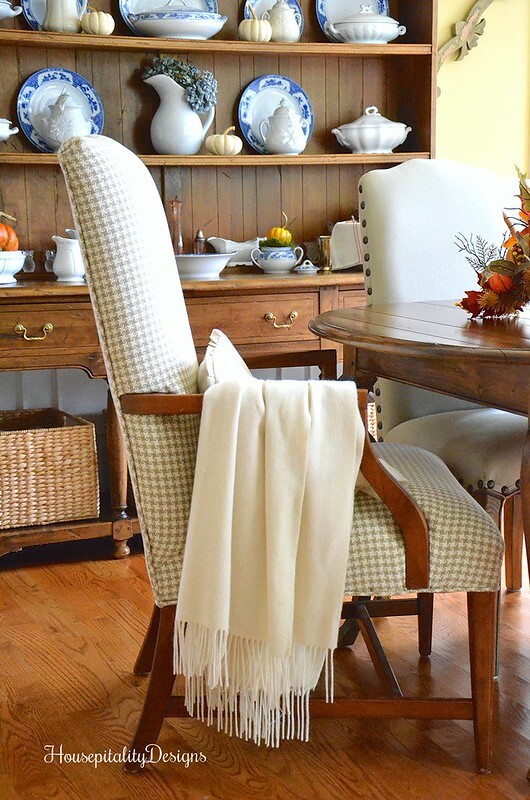 my wonderful friends and I have put together some of our favorite Fall ideas and projects. 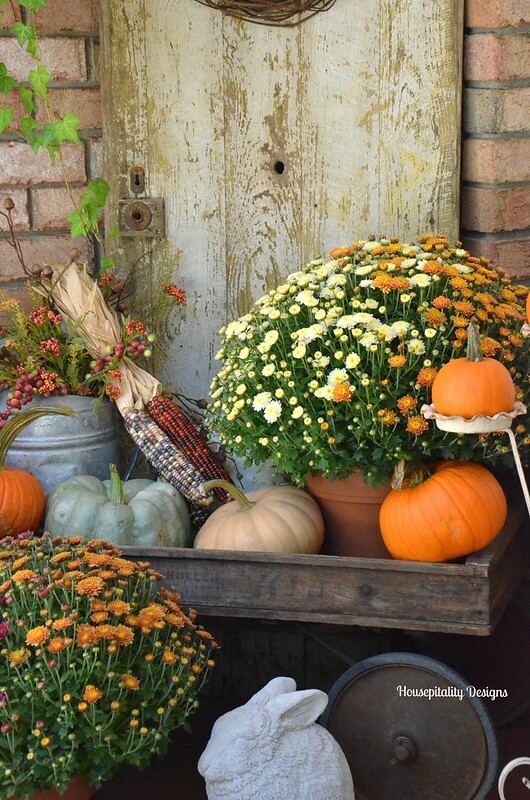 Fall is my very favorite time to decorate my front porch . . . 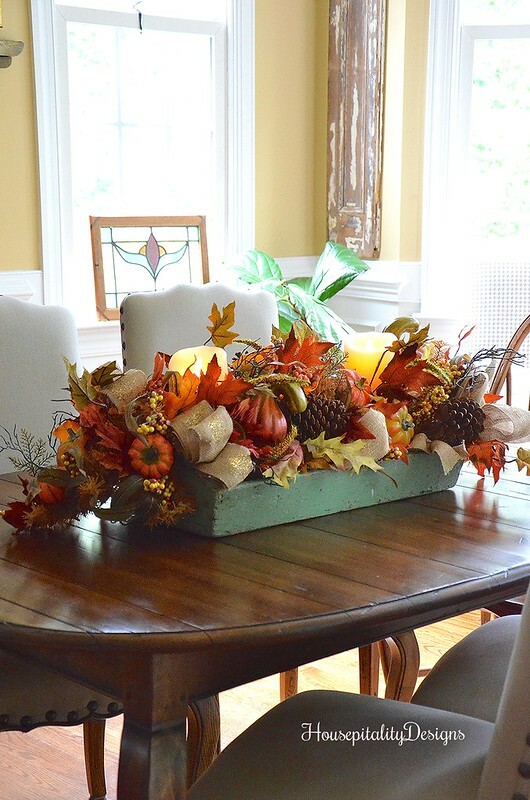 I think it is because I can decorate with the beautiful mums and pumpkins of the season. 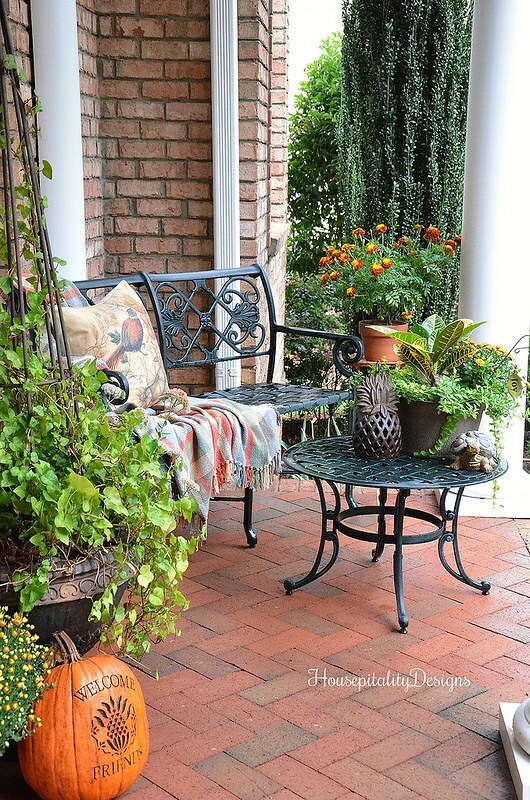 Welcome to my home and porch dressed for Fall!! 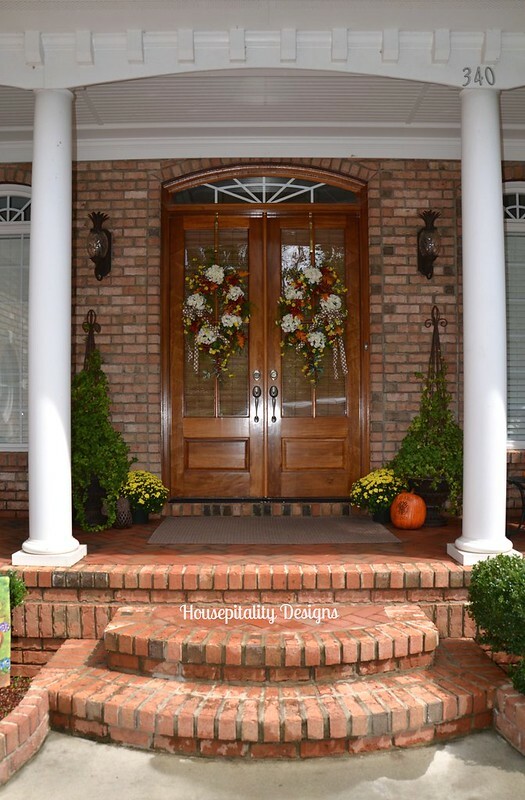 Double doors flanked by ivy topiaries and “double wreaths” welcome you.